It's the end of an era for Sears. The struggling retailer is selling its iconic Craftsman brand to tool maker Stanley Black & Decker. Sears will get $525 million from Stanley Black & Decker (SWK) once the deal closes, another $250 million at the end of the third year and a percentage of annual payments of new Craftsman sales for the next 15 years. It is cash that Sears, which also owns Kmart, sorely needs. And Sears (SHLD) stock surged as much as 8% on the news before pulling back. Sears also announced plans to close 150 more of its struggling Kmart and flagship Sears stores. The company has reported declining sales for years. It has been bleeding red ink as a result. Investors liked the news too. Stanley Black & Decker shares rose more than 2% Thursday. 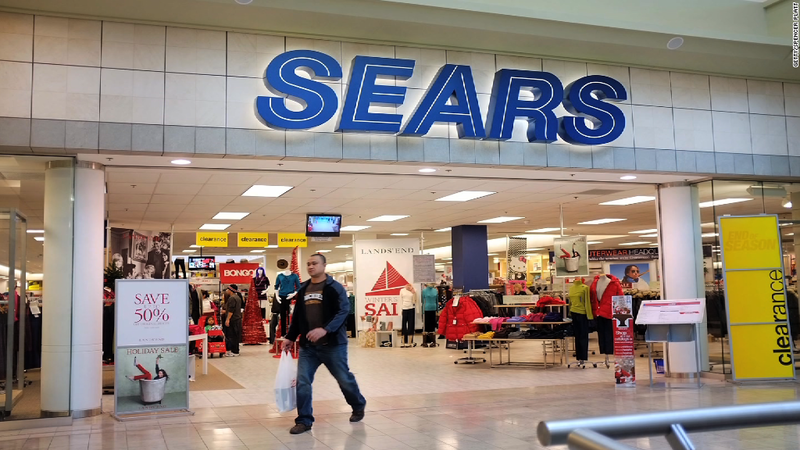 Over the past few years, Sears has also spun off pieces of its Sears Hometown and Outlet Stores (SHOS) division, Lands' End (LE) and Sears Canada (SRSC). It also created a separate public company for some of its real estate assets -- Seritage Growth Properties (SRG). Interestingly, stock market guru Warren Buffett has personally invested in that company. To be fair though, Sears is hardly the only traditional retailer that's fallen on hard times. The rise of Amazon (AMZN) has hurt many older retail brands. Macy's (M) just announced lousy results and a wave of store closings and layoffs on Wednesday. Kohl's (KSS) also warned that its sales during the holidays failed to meet expectations. Both stocks plunged on the news. Other struggling retail chains, such as JCPenney (JCP), Nordstrom (JWN) and L Brands (LB), fell sharply as well.